When my son was a teenager I was once asked what I'd been like at the same age and I replied I'd been exactly the same as him. Except "he speaks two languages, reads and writes four alphabets, plays guitar like Jimmy Page, his artwork is displayed in galleries across Tokyo, his physics gains top scores and he has friends in regular contact from more than forty countries around the world. And he thinks that's normal." "Apart from that, we're exactly the same." How the world has changed. Generalising, there are two varieties of international schools in Japan. Those that cater to students returning home in the relatively near term, and those that cater to students who probably won't; often because home is Japan though their lives are global and culture international. The former existing to maintain a relative level within a curriculum so that on return the integration is painless and the latter as a means to an end in its own right without focus on any one specific nationality. And although there is always the option of Japanese school itself, for those of us grown up in a mono-cultural environment, leaving a home country is something akin to cutting the umbilical cord. But the students of this international environment of high school in Japan are all the better prepared for the transition as they move from country to country in the future. 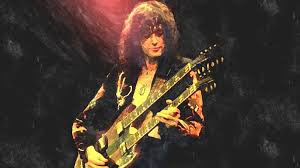 And I can simply look on and think to myself "I wish I could play guitar like Jimmy Page..."